Home » Uncategorized » BRITISH IDIOMS! Love them or hate them? BRITISH IDIOMS! Love them or hate them? 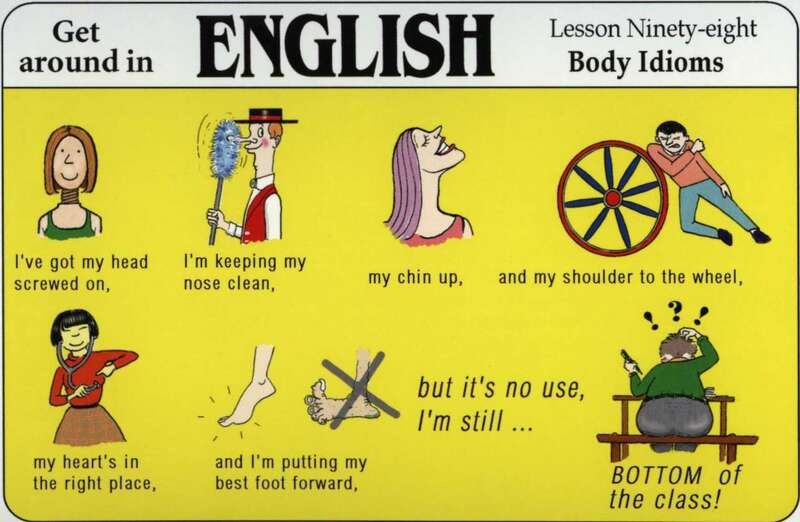 One of the things I like the most of learning English are idioms, I know sometimes they are complicated and hard to learn and memorize, but once you learn one you will never forget it! So I have collected 10 idioms that I have learned and I think they are quite useful and funny to be known! 1. Goodnight, sleep tight (wishing someone a good sleep). Do you know the ending of this phrase? Goodnight, sleep tight and don’t let the bedbugs bite! That’s because mattresses were supported by ropes which needed to be pulled tight to provide a well-sprung bed. The ‘Don’t let the bedbugs bite’ part came after, because usually centuries ago the mattresses where full of this insects! 2. As thick as thieves. This expression is used to refer if you are close friend with someone; sharing confidences. 3. The early bird catches the worm. Success comes to those who prepare well and put in an effort) Also early bird is used for people who wake up very early in the morning. 4.A little knowledge is a dangerous thing. This idiom means that small amount of knowledge can make people think that they are more expert than they really are and this can be really dangerous when discussing with them. 5.Grasp the nettle. This idiom is used when you deal bravely with a problem. 6.Keep your wig on! This expression is used to tell someone to calm down, you can use as well ‘hold your horses’. 7. Jam tomorrow. This idiom is used when someone promises you good things for the future and that will never come. British people love to say idioms and sayings, depending on the country you come from some of them might be similar to yours or some of them may be completely nonsense! It would be great if you wish to share with us some of the idioms that you have in your hometown or if you wish to add any other British idiom that you have learned! I hope you have enjoyed this post and that it has contributed to your learning. If you are studying English at the moment and you would like to boost your level of English or join English lessons we can help you!, contact us and we will do our best to find for you the best price! By worldchoiceeducation in Uncategorized on January 30, 2014 .